The eclipse 3 weeks from now should keep the media preoccupied for a day but may interpret it as the beginning of the apocalypse. The Russian sanctions have been met with threats of retaliation not just from Russia but from the European Union, which is apoplectic that the U.S. is threatening to undo its regional energy policy. The bill has the enthusiastic backing of Democrats, who are looking to punish Russia for its election interference. Russians should have nothing to fear from the west? How many times they have been invaded during the past 130 years? This thing has a yield of 40+ megatons, that's the same as the "Tzar Bomba! planning to do it again. 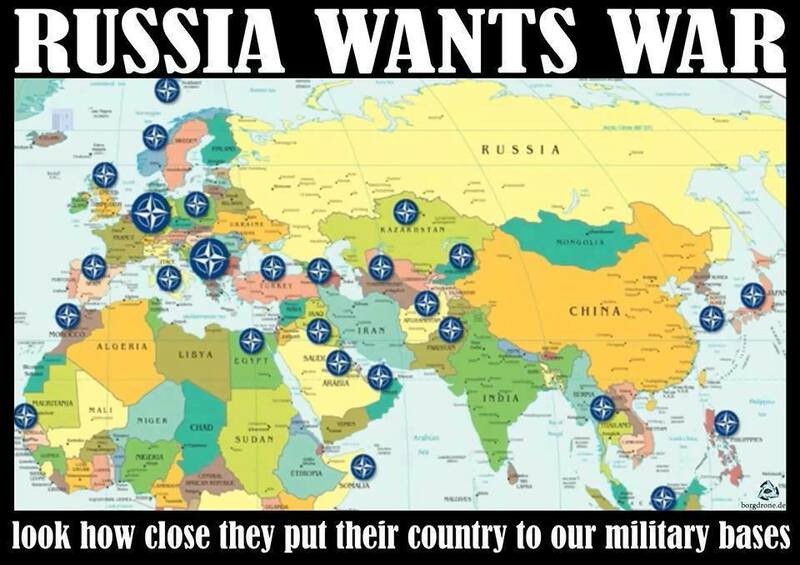 One area I agree with Putin on is that there should be NO NATO nations that have a direct border with Russia. NONE. These nations should serve as buffer states between NATO and Russia. Having buffer states tends to 'buffer' potential conflict. Typically conflicts escalate more quickly when nations border each other; E.g. Pakistan and India. the total number of minutes spent on the coverage of all stories. Why the shot graph has it titled media coverage I'm not sure. 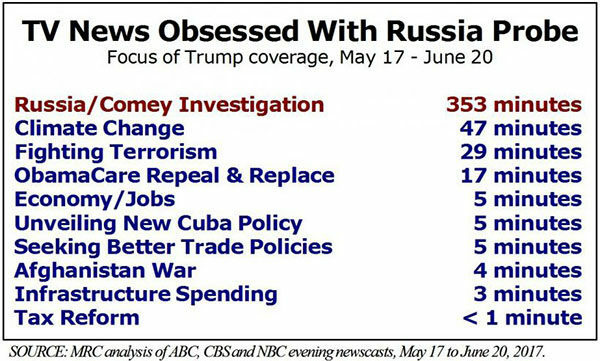 stories being about Russia/Comey Investigation, not 75%. Is Russia a real threat to the West? With the new US sanctions Russia is officially a top US enemy. But does Moscow deserve this title? "....Russia will not be a real threat to the West as long as all of its institutions (including military and intelligence) are corrupt to the core, as long as their employees are buying villas in Biarritz and sending their children to British and US universities, and as long as its economy depends on its oil and gas being sold to Europe. Actually, Russia gets to understand the extent of its dependence on the West very soon, when Trump signs Congress' bill into law and the new sanctions hit Russian energy companies and their projects in Europe. It is quite ironic that Trump is in a way forced to sign this bill very much because of the growing accusations of collusion with Russia. By forcing the West to believe that it constitutes a real threat, Russia, in the end, might face a very real response. And that the Kremlin will not enjoy." The former Soviet Union viewed the Warsaw Pact countries exactly that way, a buffer zone. “What we are being offered right now are not elections, and we must not participate in them,” Yevgeny Roizman, the mayor of the central Russian city of Yekaterinburg and a rare elected official from an opposition party, told a crowd of hundreds that had gathered in protest. The protests in scores of cities — from Vladivostok in the east to Kaliningrad in the west — were called by Aleksei A. Navalny, the charismatic, anticorruption opposition leader, after he was barred from running for the presidency because of legal problems that he said had been manufactured to prevent his candidacy. While it's good for the people to protest their dictator and his cronyism, I'm not much a fan of Navalny nor his party much. I hope the best for them though in their fight against Putin. sham election. I'm guessing not. 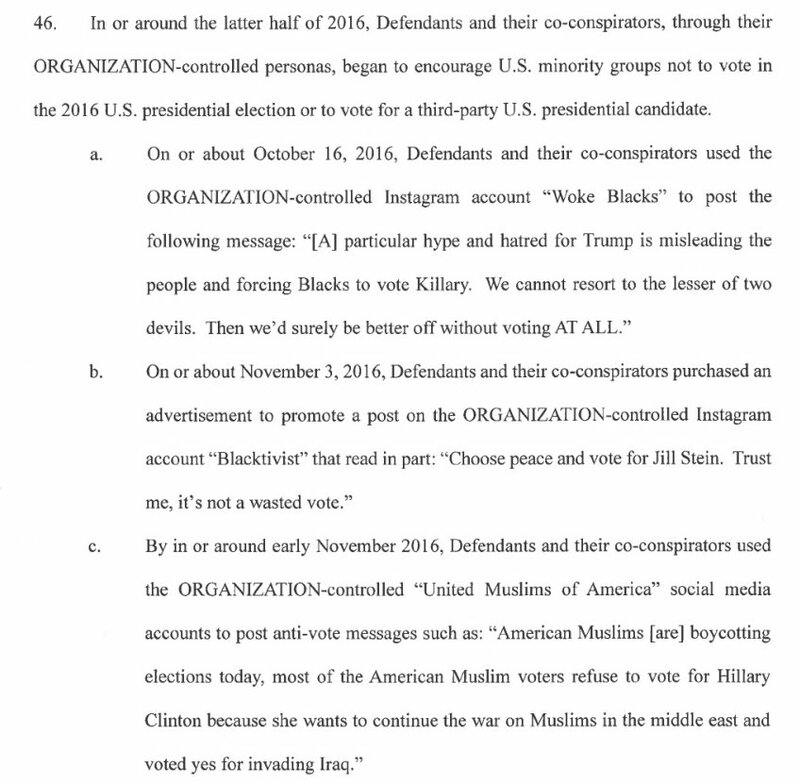 note how far right-wing talking points mirror those of Russian bots. "Coats and the other top national security officials told the Senate Intelligence Committee that they still view Moscow as a threat to the 2018 elections, a stance that appears at odds with President Donald Trump's repeated dismissals of Russian election meddling. "We expect Russia to continue using propaganda, social media, false-flag personas, sympathetic spokesmen and other means to influence, to try to build on its wide range of operations and exacerbate social and political fissures in the United States," Coats said at a hearing on worldwide threats. Just heard a Special Report on TV, 17 (I think) Russians were arrested for their involvement with the 2016 elections. At the present, can't find anything on the internet, maybe later today. BREAKING: Special counsel's office charges 13 Russian nationals, 3 Russian entities with interfering in US political process. Craziest darn hoax I ever did see. That's because it's not now a hoax, nor has it ever been a hoax. Those are correct though. Jill Stein was the peace vote and Hillary would have continued bombing Muslim civilians like Obama and Bush did. 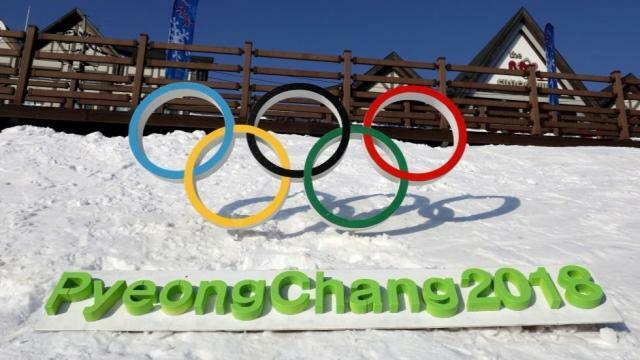 ....The International Olympic Committee banned Russia from the 2018 Winter Games over its state-backed doping program, but allowed a group of athletes to compete under the Olympic flag. The IOC said it considered lifting the suspension for Sunday’s closing ceremony so OAR athletes could march under the Russian flag. In the end, however, the committee decided to keep the ban in place because of the two failed drug tests. -can't these guys do ANYthing w/o cheating? !